HARTFORD, Conn., Aug. 17 2013 – 2013 AT&T American Cup silver medalist Simone BIles of Spring, Texas/Bannon's Gymnastix, won the senior women's all-around title at the P&G Gymnastics Championships at the XL Center in Hartford, Conn. Biles posted an all-around total of 120.450 points, followed closely by 2012 Olympic gold-medalist Kyla Ross of Aliso Viejo, Calif./Gym-Max, at 120.250 points, and Brenna Dowell of Odessa, Mo./Great American Gymnastics Express, with 116.550 points. Biles, who earned silver medals on all four individual events, began her competition on balance beam with a solid routine that included a flip flop, flip flop, full-twisting double back dismount for 15.000 points. On floor, she smiled and soared through a double-twisting double back, a double layout and a full-twisting double tuck for 14.950 points. In the third rotation, Biles landed a clean Amanar, scoring 15.800 points. Biles finished the meet on uneven bars, scoring 14.200 points for a routine that included a Weiler-half to Maloney combination, a piked Tkatchev and a full twisting double tuck dismount. With four cleanly executed routines, Ross won the all-around silver medal. On floor, Ross earned a score of 14.500 points for a routine that included a high Arabian double front to stag jump for her first pass and a double tuck dismount. In the second rotation, Ross' double-twisting Yurchenko earned 15.300 points. 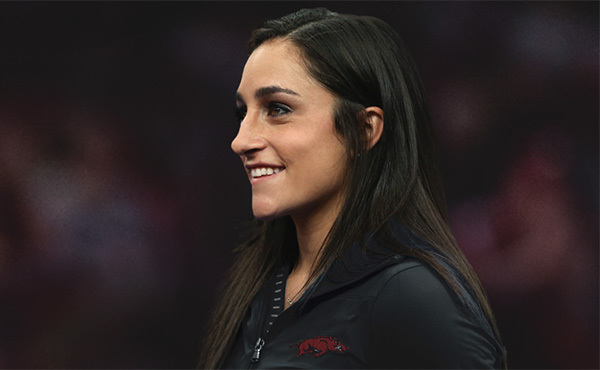 Ross won the national title on uneven bars with a smoothly swung routine featuring precise handstand positions for a two-day total of 30.950 points, two points ahead of her closest competitor. On balance beam, Ross closed the meet with an impressive routine that included a switch ring leap and a double tuck dismount, winning her second national title with a combined score of 29.950 points. Dowell vaulted an Amanar for 15.500 points and tumbled both tucked and piked double fronts on floor for 14.400 points. 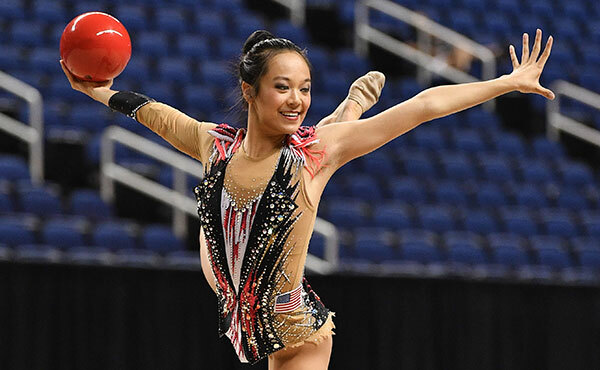 She finished the meet on uneven bars, where she caught a toe-on piked Tkatchev, a toe-on Tkatchev to mixed grip, and dismounted with a full-twisting double layout for 14.250 points. 2012 Olympic team gold medalist McKayla Maroney of Long Beach, Calif./All Olympia, competed on floor and vault, winning event titles on both. On floor, she tumbled a double layout, a two-and-a-half twist to punch front full and Arabian double front for a two-day total of 30.100 points. Maroney vaulted her trademark Amanar and followed with a Yurchenko half on, front layout full off, for her second vault, giving her the highest two-vault average of the competition at 31.200 points. 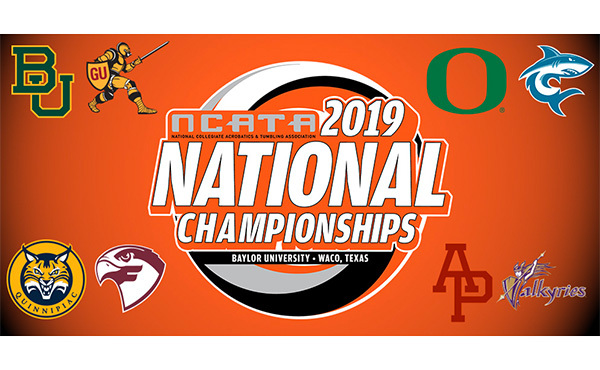 The competition schedule is: Aug. 18 – men's gymnastics, seniors at 11:30 a.m. and juniors at 6:30 p.m. Times listed are Eastern. Tickets are still available. Single-session tickets range in price from $20 to $99. Multi-session packages are also available: men's package – all men's sessions (junior and senior), Aug. 16 and 18, $85-135; women's first day of competition package – junior and senior women's sessions, Aug. 15, $70-125; women's final day of competition package — junior and senior women's sessions, Aug. 17, $85-135; and men's and women's package – senior women on Aug. 17 and senior men on Aug. 18, $85-135. All-session tickets, which range in price from $125-$395, are also on sale, and the top-priced ticket is for the best seat location and includes an autographed commemorative poster. Prices include facility fees and vary according to ticket location. Tickets are available through several different avenues: Ticketmaster.com; calling 1-800-745-3000; or the Public Power Ticket Office at the XL Center. For group tickets, please call 860-548-2000. From morning fitness at the Old State House to the 50th Anniversary Museum and the Capital City's Taste of the Championships, fans will have plenty of opportunities for fun while they enjoy the exciting week of competition in Hartford. The following is a quick overview of the fan activities available during the P&G Championships. For the most up-to-date and complete information on all event and fan activities, go to PGChamps.com. Morning fitness. Downtown workers and fans can start the day off right by joining gymnastics coaches and celebrities for a free morning workout, led by local Hartford fitness fanatics and Olympian John Macready, at the Old State House. 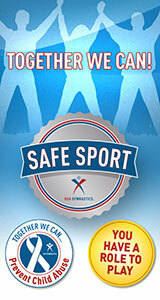 On Thursday, Aug. 15, and Friday, Aug. 16, USA Gymnastics is hosting "Get up, get fit! ", a morning fitness session from 6:30-7:30 a.m. Thursday's session features a boot camp and Pilates, with Friday's session including a boot camp and yoga. Companies making the sessions possible are P&G, Under Armour, Hartford Healthcare, Civic Mind, Downtown Yoga and Whole Foods. Capital City's Taste of the Championships. Six restaurants are creating special menu items as part of the Capital City's Taste of the Championships. From Aug. 15-17, Hartford Mayor Pedro Segarra and legendary gymnastics coach Bela Karolyi will review and taste the signature dishes, which are also being reviewed by a nutritionist with USA Gymnastics' partner St. Vincent Sports Performance to determine the healthiest dish. The six restaurants are: Agave, 100 Allyn St.; City Steam Brewery Café, 942 Main St.; DISH Bar & Grill, 900 Main St.; Feng Asian Bistro, 93 Asylum St.; Max Downtown, 185 Asylum St.; and Salute, 100 Trumbull St., #2. "Let's Eat." 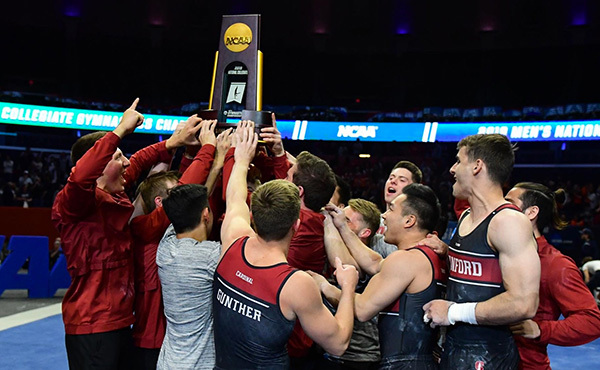 "Let's Eat" is a network of 10 Hartford restaurants that are offering a 20-percent discount to P&G Championships ticket and credential holders, as well as those with a USA Gymnastics Congress credential. The participating restaurants are: Black Bear Saloon at 187 Allyn St.; Burger Baby at 283 Asylum St.; Carbone's Ristorante at 588 Franklin Ave.; DISH Bar & Grill at 900 Main St.; Front Street Bistro at 39 Front St.; Hot Tomato's at One Union Place; Peppercorn's Grill at 357 Main St.; Salute Restaurant at 100 Trumbull St.; The Russian Lady at 100 Ann Uccello St.; and The Tavern Downtown at 201 Ann Uccello St.
USA Gymnastics 50th anniversary museum, celebrating 50 years of champions. Open to the general public, the museum will feature a combination of pictures, historical items, mementoes and videos that tell the story of USA Gymnastics and its first 50 years of accomplishments and champions. It will also include historical leotards from GK Elite and equipment from AAI. Admission is free. The museum officially opens at 10 a.m. on Aug. 15, and several well-known gymnasts are expected to be on hand for the opening. The museum is open from 10 a.m.-7 p.m., Thursday, Aug. 15, to Saturday, Aug. 17, and from 10 a.m.-5 p.m. on Sunday, Aug. 18. Two autograph sessions will be held each day, and the celebrity gymnasts signing autographs are expected to include Olympic gold medalists Shannon Miller, Carly Patterson and Paul Hamm; members of Team Hilton HHonors, including Olympic silver-medalist Jonathan Horton, Leyva and Orozco; and members of both the 2007 Women's World Championships Team (team champions) and the 2012 U.S. Olympic Gymnastics Team. Check PGChamps.com daily for the updated autograph schedule. USA Gymnastics Hall of Fame. Also at the XL Center, the 2007 Women's World Championships Team and women's gymnastics members of the Hall of Fame will be recognized for their achievements on Thursday, Aug. 15, with the men's Hall of Famers introduced on Friday, Aug. 16. The Fierce Five and the 2007 Women's World Championships Team are members of the 2013 class of the USA Gymnastics Hall of Fame. The members of the 2012 U.S. Olympic Women's Team, aka the Fierce Five, are Gabrielle Douglas of Virginia Beach, Va./Chow's Gymnastics and Dance, McKayla Maroney of Long Beach, Calif./All-Olympia Gymnastics, Aly Raisman of Needham, Mass./Brestyan's American Gymnastics, Kyla Ross of Aliso Viejo, Calif./Gym-Max, and Jordyn Wieber of DeWitt, Mich./Gedderts' Twistars USA. The 2007 World Championships Team includes Ivana Hong of Laguna Hills, Calif., Shawn Johnson of West Des Moines, Iowa, Nastia Liukin of Parker, Texas, Samantha Peszek of Indianapolis, Ind., Alicia Sacramone of Winchester, Mass., and Shayla Worley of Orlando, along with alternate Bridget Sloan of Pittsboro, Ind. 2012 Olympic reunion. Fans will get to see Fierce Five reunited with the other eight Olympians, and the alternates, for the first time since last fall's conclusion of the Kellogg's Tour of Gymnastics Champions, and help USA Gymnastics celebrate their accomplishments on Saturday, Aug. 17, at the XL Center. The members of the 2012 U.S. Olympic Team are: women – Douglas, Maroney, Raisman, Ross and Wieber; men –Dalton, Jonathan Horton of Houston/Team Hilton HHonors (Cypress Gymnastics), Leyva, Mikulak and Orozco; rhythmic gymnastics –Zetlin; and trampoline –Gluckstein and Vinsant. The replacement athletes who will be in attendance are: women – Sarah Finnegan of St. Louis, Mo./Great American Gymnastics Express, Anna Li of Aurora, Ill./Legacy Elite Gymnastics, and Price; men –Christopher Brooks of Houston/Team Hilton HHonors (Cypress Academy of Gymnastics), Legendre, and Naddour; and trampoline – Logan Dooley of Lake Forest, Calif./World Elite Gymnastics, and Dakota Earnest of Plains, Texas/Acrospirits. USA Gymnastics Fitness Zone. Kids can have fun and gain knowledge about the importance of fitness through the interactive USA Gymnastics Fitness Zone. The zone features activities in building strength, flexibility, cardiovascular exercise and nutrition. The Fitness Zone will be featured on the concourse at the XL Center. WGYM. 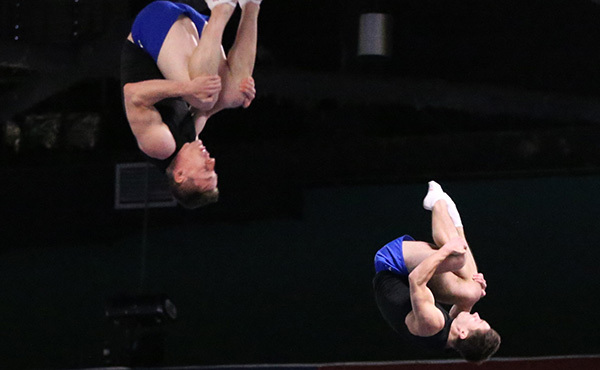 WGYM, the in-house radio broadcast for men's and women's gymnastics, provides running commentary on the competition, as well as fun facts about the sport and the competitors. Olympic gold medalists Amanda Borden, Paul Hamm and Shannon Miller will serve as hosts for the broadcasts. Radios will be available at the XL Center. Merchandise. Fans can purchase everything gymnastics from event-specific tees to 50th anniversary merchandise at the XL Center. NBC Sports Network and NBC will air all four senior competition sessions live. The remaining schedule is listed below. 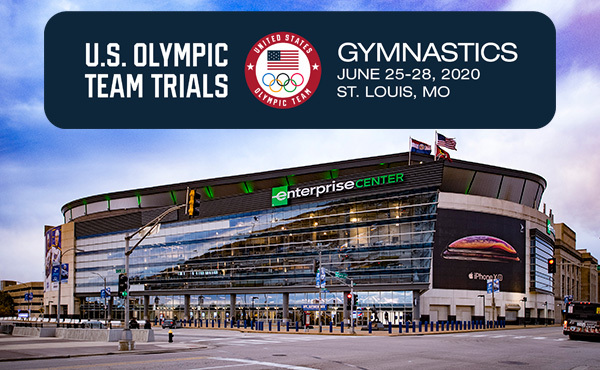 Hosted by 1996 Olympic team gold-medalist Amanda Borden, USA Gymnastics will provide live webcast coverage of all four junior competitive sessions. Two-time Olympic gold-medalist Shannon Miller, 2004 Olympic all-around champion Paul Hamm, and 2008 Olympic silver-medalists Jonathan Horton and Samantha Peszek will join Borden to provide commentary and analysis. NBC and NBC Sports Network will provide live webcasts of senior competition. Below is the remaining schedule.